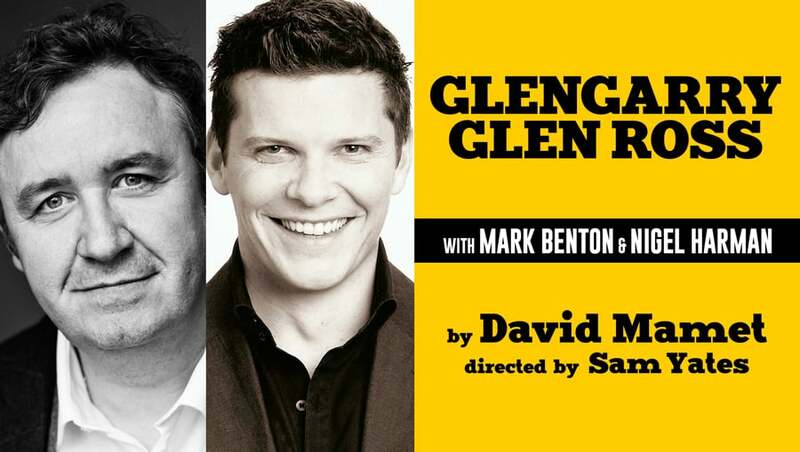 Mark Benton and Nigel Harmon are to star in the Glengarry Glen Ross UK Tour. Following a critically acclaimed West End run David Mamet’s award-winning play Glengarry Glen Ross will tour the UK from February 2019. Taking on the memorable roles of salesmen Shelley ‘The Machine’ Levene and the ruthless Ricky Roma are Mark Benton (Waterloo Road, As You Like It, Dirty Rotten Scoundrels, Hobson’s Choice) and Olivier award-winning Nigel Harman (EastEnders, A Chorus of Disapproval, Shrek the Musical) respectively, with further casting to be announced in due course. The production of this trailblazing modern classic has designs by Chiara Stephenson, lighting by Richard Howell and is produced by ATG Productions, Act Productions and Glass Half Full Productions.